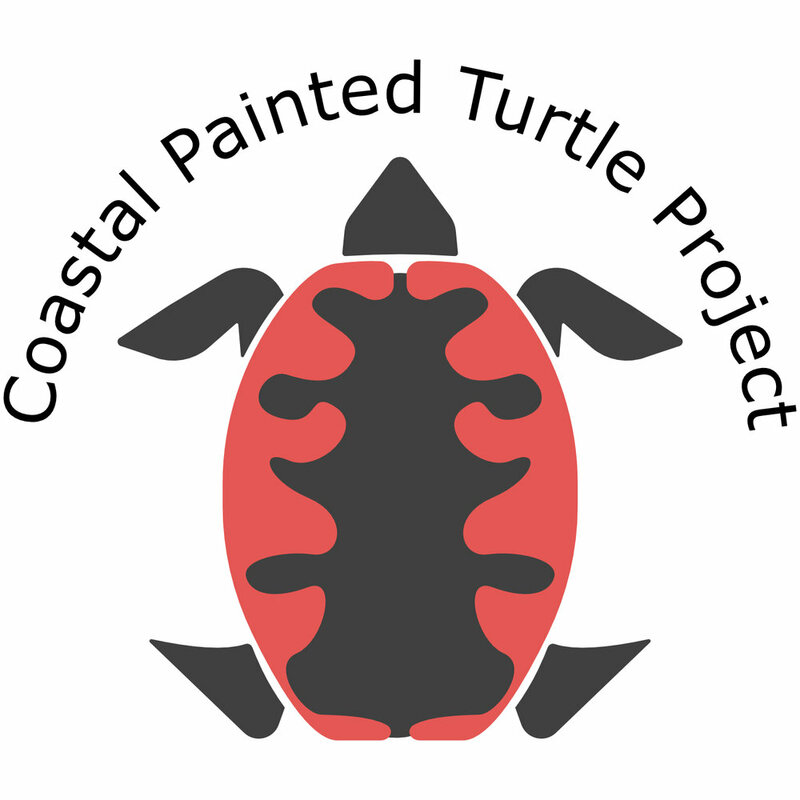 The Coastal Painted Turtle Project arose from work initiated by the Ministry of Environment in 2008. 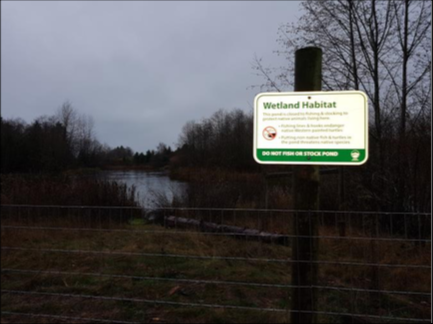 The main goals of this project were to assess the current status of endangered Western Painted Turtle populations, which were only known in a few locations throughout coastal BC. In addition, assessing and addressing threats such as road mortality and habitat loss or degradation on a site by site basis was essential to create a plan for long-term recovery of coastal populations. Nesting beach construction in a Metro Vancouver Regional Park. Basking log installation, anchored using cinderblocks. New fencing and signage to deter fishing. Results of the first few years of population surveys and habitat assessments determined that the majority of occupied sites had 5 or less turtles remaining. At sites with still active breeding populations; only 2 significant ones in the Lower Mainland and Fraser Valley, habitat restoration including the installation of nesting and basking habitat were essential to provide the critical habitat features the turtles need to ensure long-term survival and recruitment of young turtles. Low recruitment of juvenile turtles is often the limiting factor in population maintenance and recovery. Turtles are most vulnerable when they are in the egg and hatchling stage. The ability to rear the young in a monitored environment allows for better survival rates for these turtles upon release. To this day, more than 400 turtles have been safely released in some of Metro Vancouver’s regional parks with the work of our partners; Wildlife Preservation Canada, the Greater Vancouver Zoo and the Ministry of Forests, Lands and Natural Resource Operations. Each turtle raised in captivity is fixed with its own unique pit tag. When a turtle is captured, we scan the tag and all the information for that individual is sent to our database. This allows us to track growth and genetic lines as the turtles age and begin to produce eggs. Nest monitoring and research are other key components to our Coastal Painted Turtle project. Understanding where turtles are nesting is critical for their conservation. In some areas, we protect the nests with cages as this deters predators and reduces the chances of the nests being dug up. If you would like to help fund this project, please consider adopting a nest, and visit our donation page here. 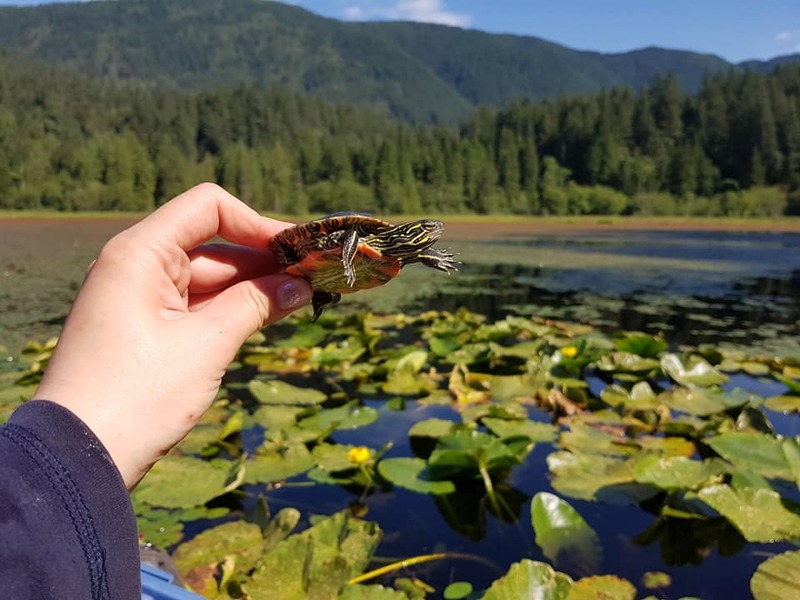 Every spring, the Coastal Painted Turtle Project group releases endangered baby Western Painted turtles onto protected nesting beaches in several of Metro Vancouver's regional parks - more than 400 turtles to date. For more information and updates regarding this project, please visit our Facebook here.